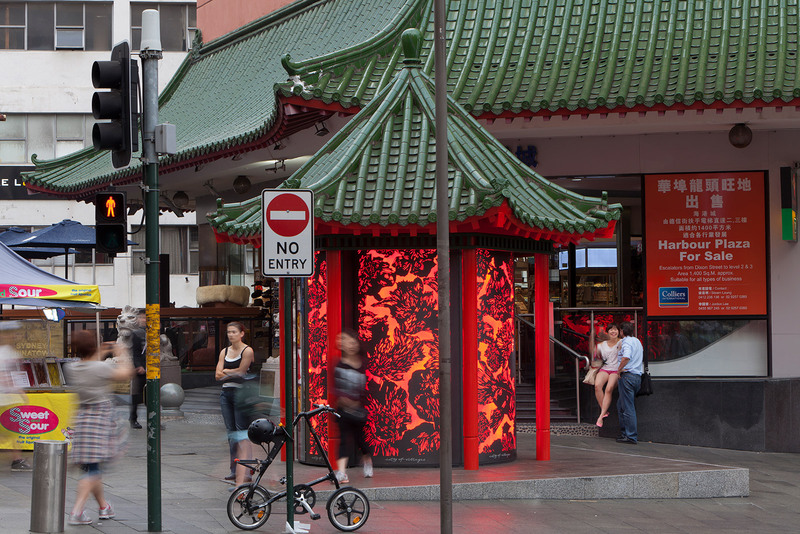 “While a Chinatown had existed in Sydney since the 1870s, it was only during the twentieth century that the term came into currency. 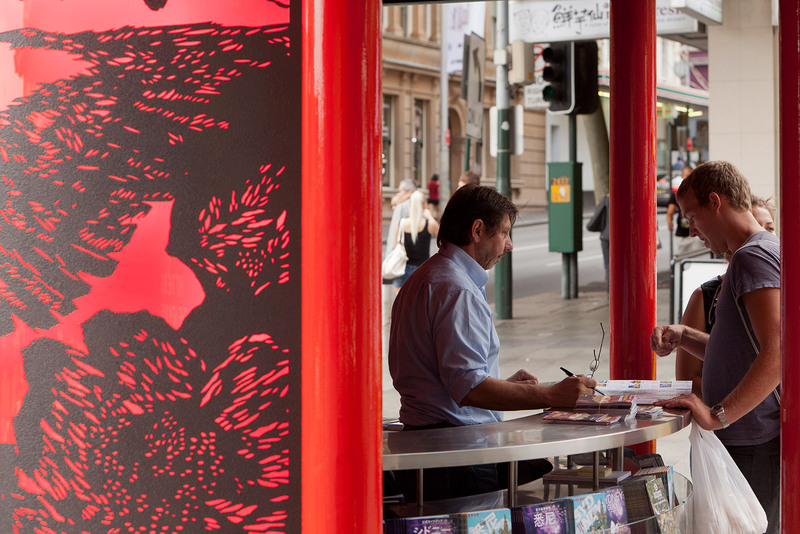 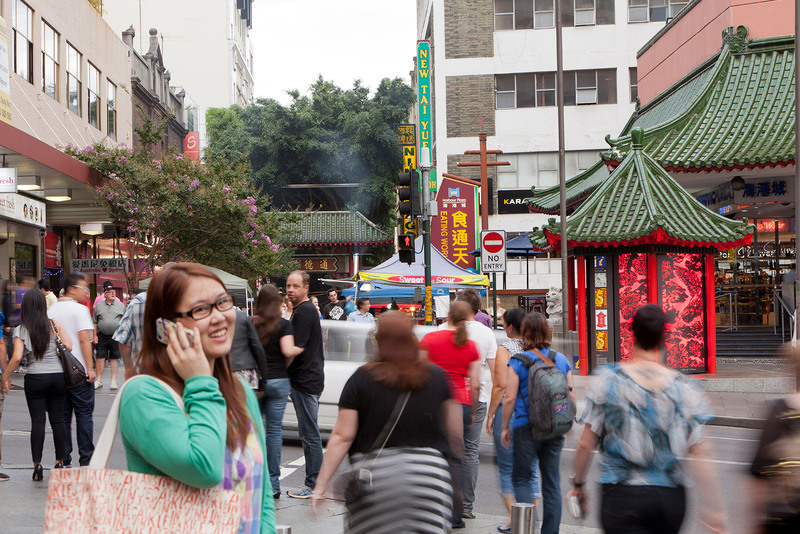 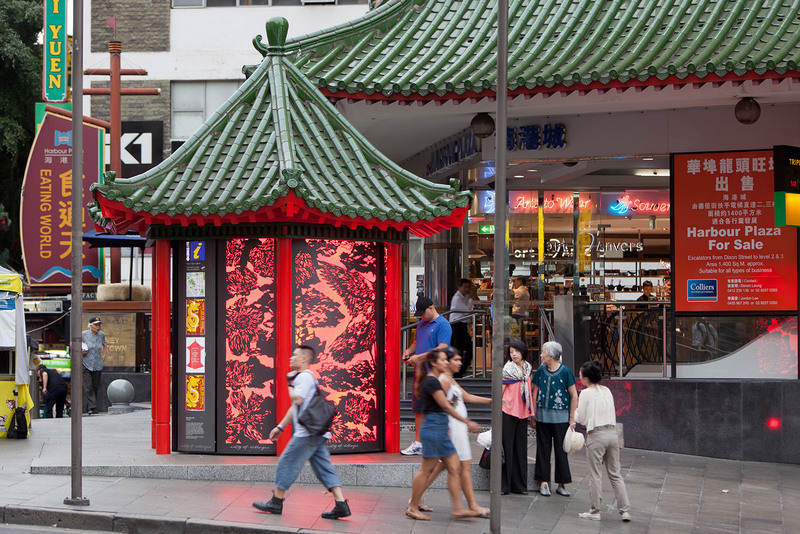 Moreover, the acceptance of Chinatown as a desirable expression of Chinese ethnicity within Sydney in the 1970s coincided with the adoption of multiculturalism, which culminated in the opening of the Dixon Street Mall in August 1980. 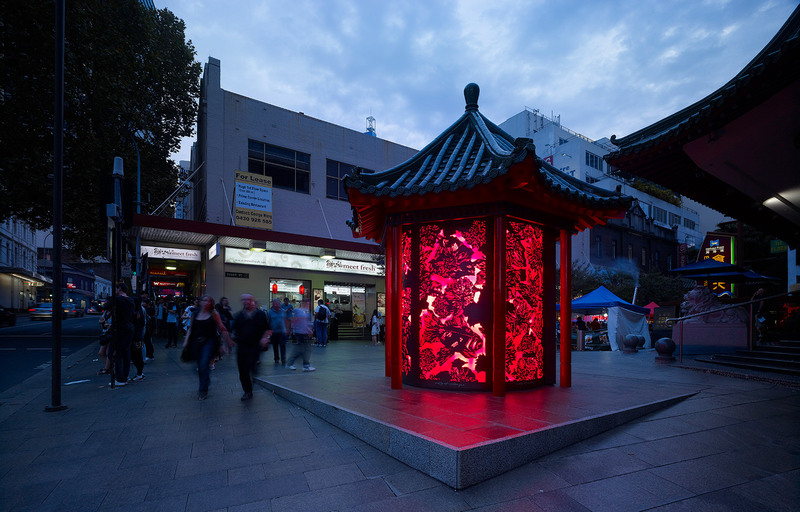 The reshaping of ethnicity in Chinatown demanded a reconstruction of an imaginary past (Chinatown has been perceived for many years as an undesirable ethnic ghetto) and a unified cultural identity, which most of the ethnic Chinese in Australia would never have experienced. 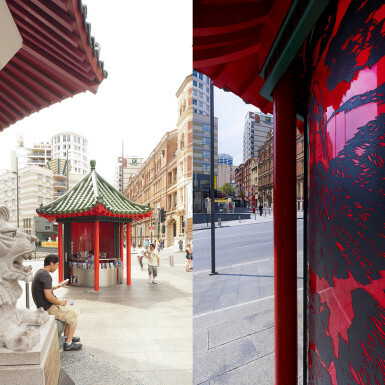 The use of antiquated ‘traditional Chinese’ symbols to represent the Chinese community — ceremonial archways, lions, lanterns and pagoda style shopfronts — reclaimed a common Chinese heritage that could instantly be identified as ‘Chinese’ by non-Chinese people. 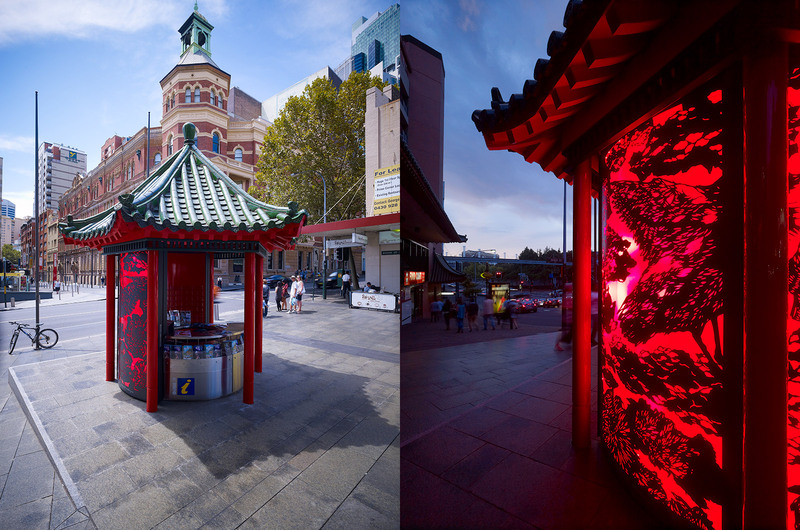 These reshaped images of Chinese ethnicity, especially the ceremonial archway, became a mnemonic for Chinatown: a unified, sterilised identity for the Chinese community reconstructed from an imaginary past that elided the complex heterogeneity of Chinese communities. 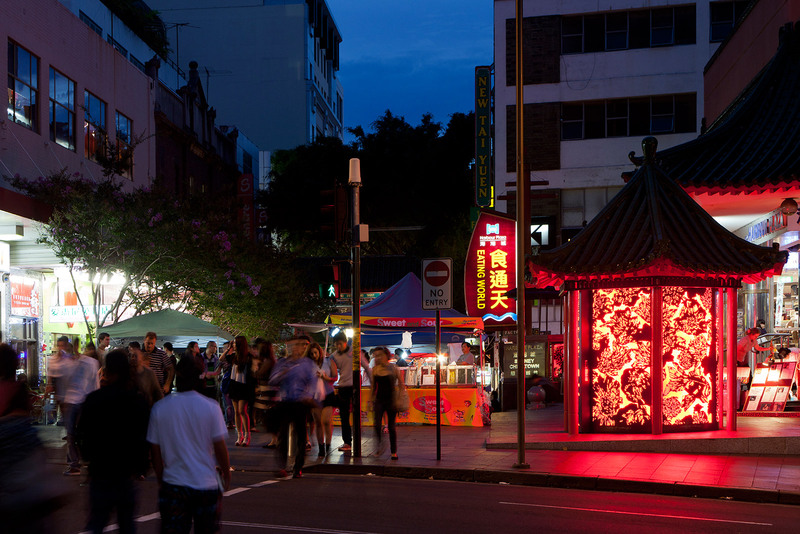 Chinatown was transformed into a hyper-real product of postmodernity. 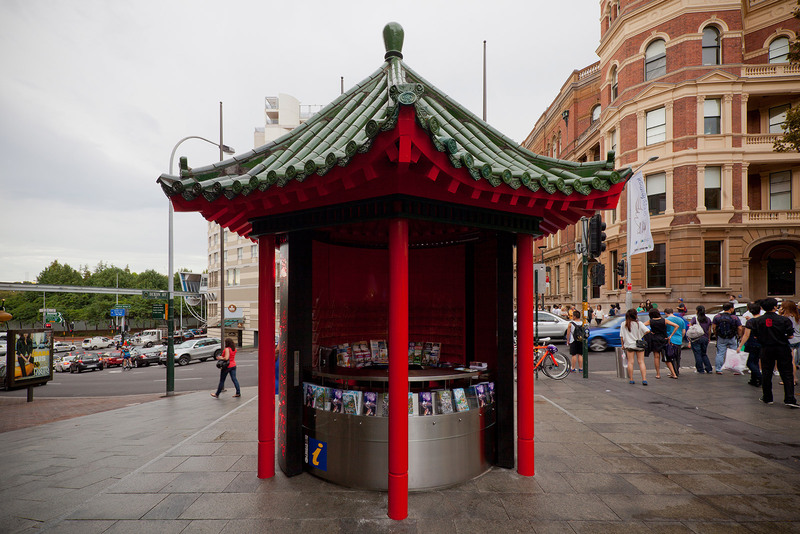 The recent conversion of the seating pagoda in Dixon Street to a tourist information kiosk gives it a contemporary interpretation. 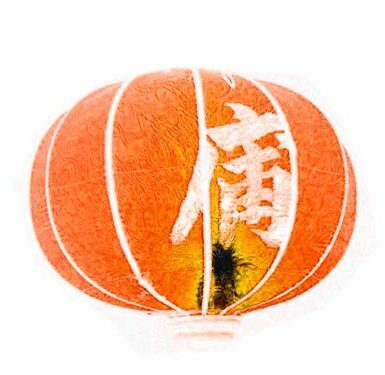 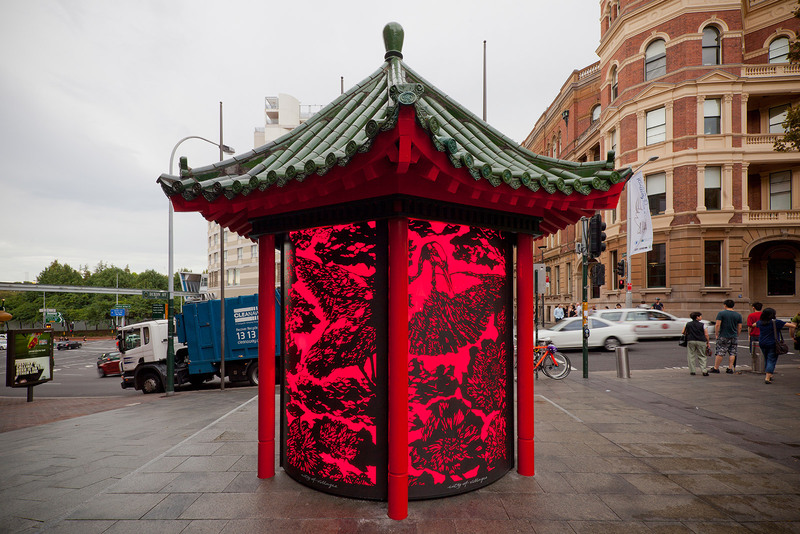 It is not a simulacrum, a reproduction of a Chinese image that has ceased to be representative of modern China, nor Chinese people living within a multicultural society. 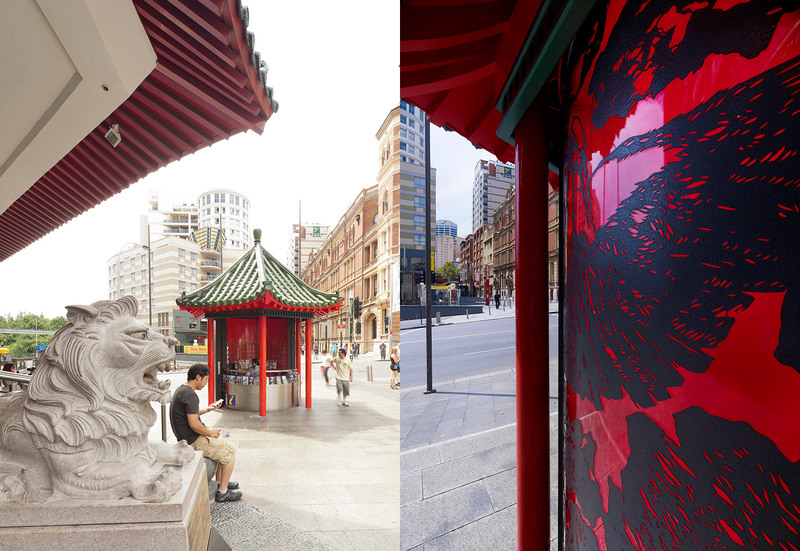 The design transforms the existing structure into a highly sophisticated enclosure embracing tourism iconography. 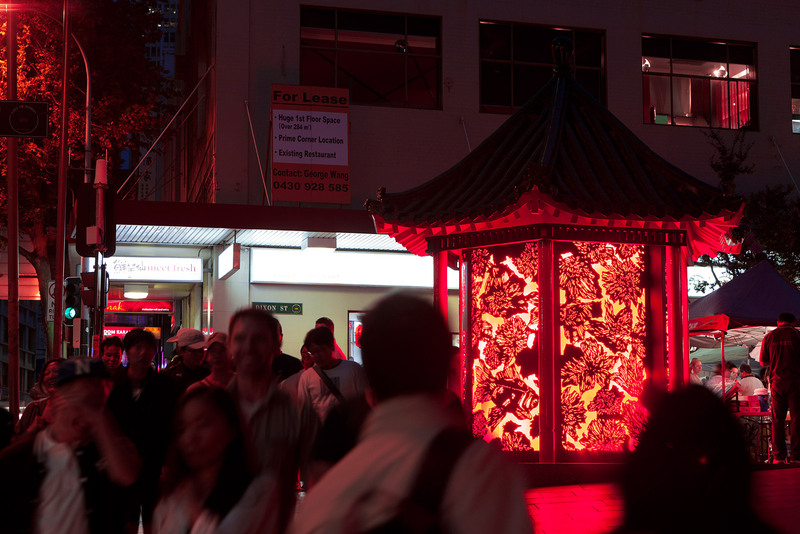 The pagoda is transformed in a patterned red lantern by day which is illuminated by night. 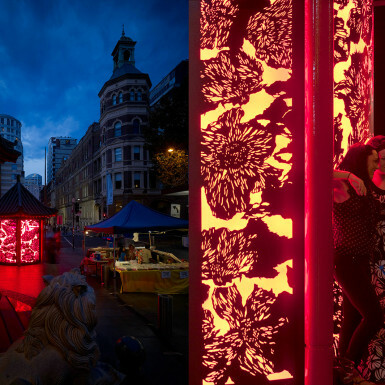 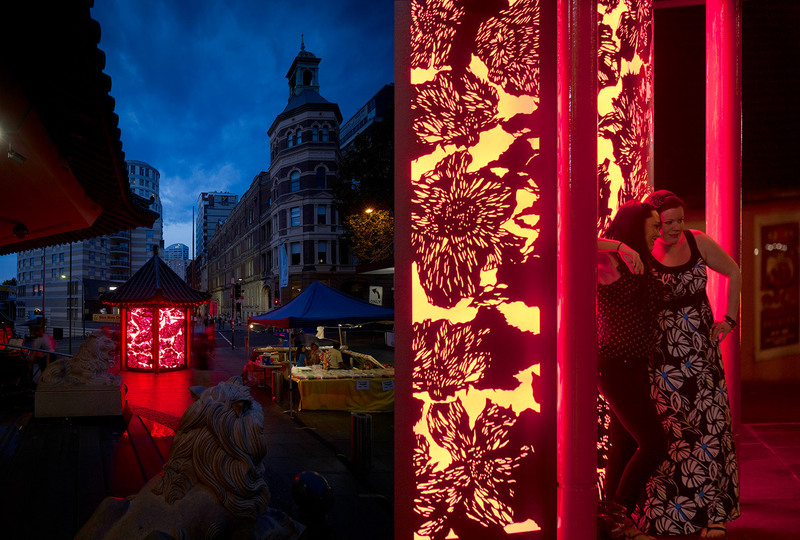 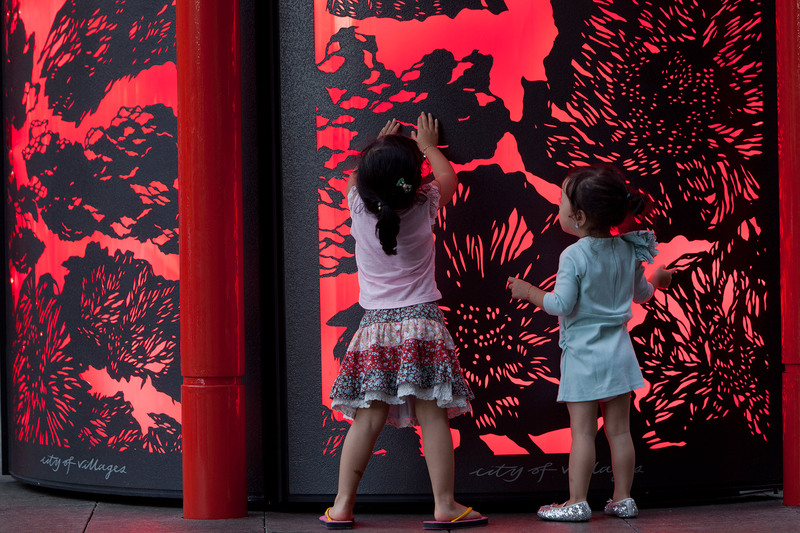 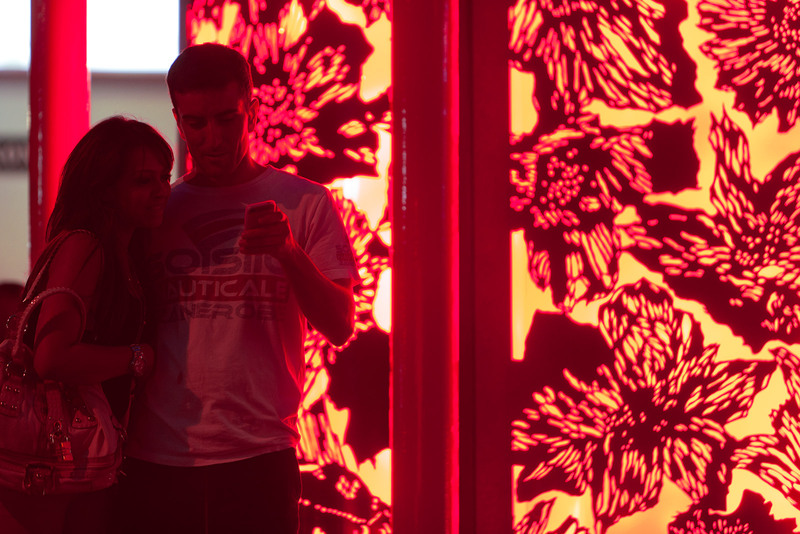 It consists of 2 semi-circular light boxes that are clad with patterned, curved glass; the pattern was created by paper-cut artist Pamela Mei-Leng See with cultural reference to the Chinese community including flowers, fish and birds. 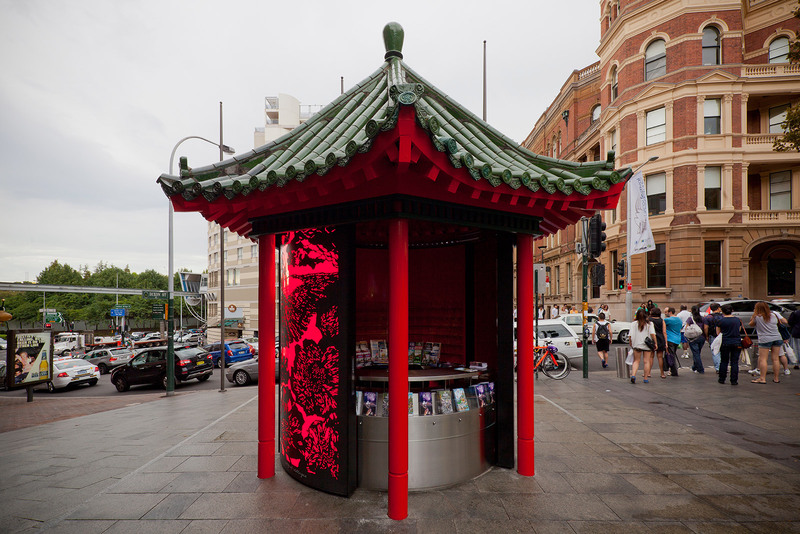 The sliding semi-circle of glass screens opens to reveal a hot red interior containing a wall of shelving for brochures, pamphlets and tourist information. 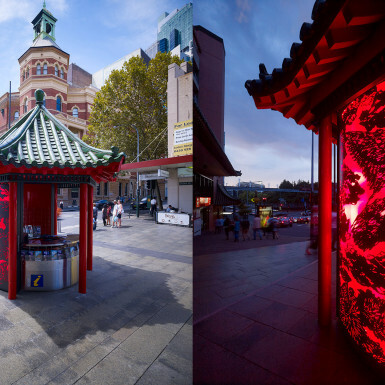 Sydney’s Chinatown boasts the ninth highest tourist visitation rate in Australia and this glowing lantern will become it’s red emblem.